Get SPEEKEE Coupons at the BrillKids Coupon Redemption Center! - . :Early Learning Community:. BrillKids Forum > Product Partners > Get SPEEKEE Coupons at the BrillKids Coupon Redemption Center! Get SPEEKEE Coupons at the BrillKids Coupon Redemption Center! Visit the BrillKids Coupon Redemption Center now and use your loyalty points to redeem Speekee discount coupons which you can use to get valuable savings when you get a Speekee DVD pack or when you subscribe to Speekee TV! Speekee was created when it was understood that a truly brilliant Spanish learning product for young children simply could not be found anywhere in the world. After extensive project work, Speekee was born. Containing all the essential elements for children to learn quickly and effectively, such as puppetry, animation, songs and native speakers, Speekee packages everything together in a series of rhythmical episodes which captivate the viewer. Its standout feature is the complete absence of English, proving that learning Spanish through immersion is not only possible; it is the way. 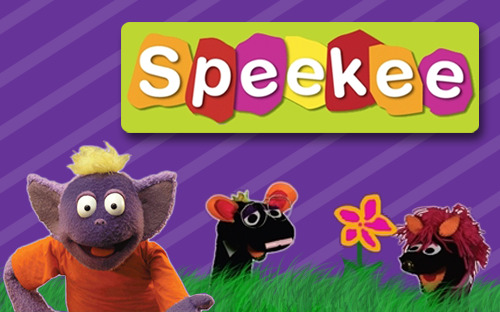 The Speekee program comes with 10 episodes of over 150 minutes of pure Spanish learning on video, and is available online (Speekee TV) and offline (Speekee DVD). To get a Speekee Discount Coupon, all you need to do is use your loyalty points to redeem a coupon at our Coupon Redemption Center, and then use it when you checkout at the Speekee Store! For more information about the new Speekee discount coupons, please see this page. Learn more about how Speekee works and watch a sample video at the Speekee website. As you may already know, Jim (Speekee), Speekee co-founder, has joined us here at the BrillKids Forum. If you have any questions or clarifications about Speekee or their discount coupons, do feel free to send him a message or post your questions here! 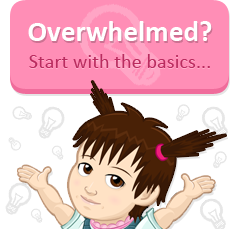 We hope you enjoy the new Speekee discount coupons, and once again, happy teaching! Re: Get SPEEKEE Coupons at the BrillKids Coupon Redemption Center! Hi LotusLight, sorry for the late response! In general, most computer disk drives can read and play both NTSC and PAL formats -- but if you do find that you can't play a certain DVD in your computer, there is a way to quickly modify your computer so that it can play the PAL format (which is the Speekee DVD's format). Please note that converting your disk drive to read certain formats can only be done 5 times (and after that your drive will be "locked" to the last DVD region it was set to). However, if you have a second disk drive, you may choose to have that one set to another format (NTSC) so you will still be able to play different DVD formats in your computer. Once again, as what our friends from Speekee told us, a good alternative for people who have DVD problems is to subscribe to Speekee TV instead. I just bought a region free dvd player because mine said in the paper it came with that it does not play PAL. It will say on your dvd player in the papers it comes with and on the back on the player if it plays PAL. If you get a region free dvd player though you will never have to worry. The well known nation vocalist has owned this expression celebrated throughout the years. In spite of the fact that she is hitched now, she trusts the majority of the men she was meeting just for pets simply made her affection her puppy considerably more. AZ Local Trip\'s Halong Bay backpackers cruise may not the cheapest cruise in the bay but you still can save a lot of your money and get more exciting activities comparing to cheaper ones. For booking in advance, please contact our team! Re: Where can I watch NBA online? Re: What are the effects of injecting Human Growth Hormone (hGH)? Re: What causes low testosterone levels in women? What sport activity do you prefer? Re: Have you ever done an escape room? Re: What is your hobby?